Companies can experience Cadiz low-cost production climate without experiencing delivery delays. 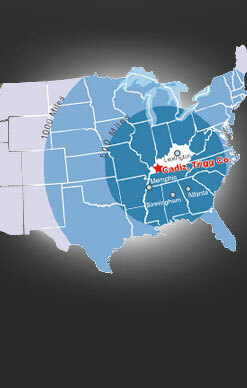 FedEx and UPS hubs are both within a 4 hour drive of Cadiz, Kentucky. The major air hub for UPS is in Louisville, Kentucky, less than 4 hours away. 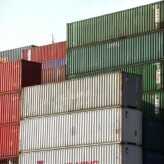 Any package bound for outside the United States, with the exception of those going to Latin America, are handled at the Louisville hub. The UPS hub in Louisville has a 4 million sq. ft. distribution center and handles over 100 flights per day. Fed Ex’s major air hub is located less than 3 hours away at the superhub in Memphis, Tennessee. The Memphis superhub handles over 3.3 million tons of cargo annually and has over 200 aircraft in operation daily.